The travel advice provided by the Department of Foreign Affairs is to help Mount Vema nationals make their own informed decisions about overseas travel. The information is provided on neutral basis to advise against travel to countries or regions where risks of civil unrest, natural disasters, diseases and terrorism are high. We know our travel advice can have a knock-on effect on trade and political considerations, but we don’t let this determine the advice we give. The safety of Mount Vema nationals will always be our main concern. Mount Vema citizens overseas travel on regular basis each year visiting or seeking investment opportunities. 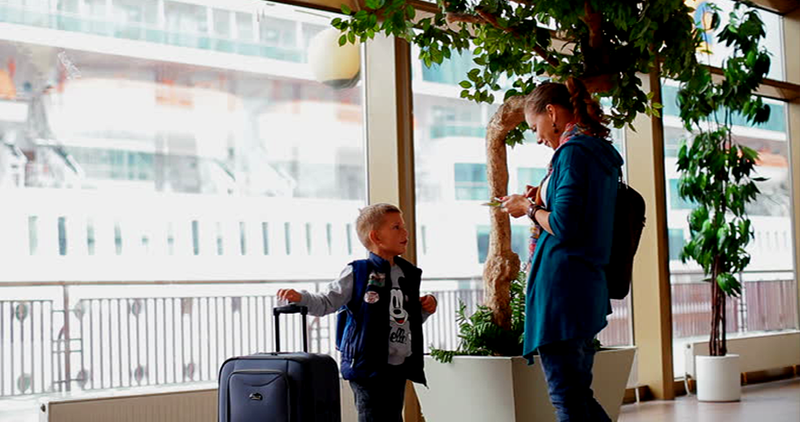 The Mount Vema passport is already widely accepted as a valid government issued identification, especially by a growing number of businesses across the world, however travel is not as simple yet. Although, this is a temporary issue, Mount Vema nationals must be aware that because Mount Vema is not yet listed as an ISO listed country, we advise our citizens to check first before travelling on Mount Vema passports to some destinations. Every country has a different entry requirement. In countries where visa is required, you must get a valid visa and/or work permit before you travelling, and you should apply several weeks before your intended travel date. However, in some countries you don’t need a visa to enter as a tourist. On presentation of a valid passport you will normally be granted a 90-day stay in the country. Your passport should be valid for the proposed duration of your stay, but we advise you to always have a proof of return travel. The authorities in the country or territory you’re travelling to are responsible for setting and enforcing the rules for entry. If you’re unclear about any aspect of the entry requirements, or you need further reassurance, you’ll need to contact the embassy or consulate of the country or territory you’re travelling to. You should also consider checking with your transport provider or travel company to make sure your passport and other travel documents meet their requirements. To prevent Mount Vema nationals getting into difficulty overseas, which can be avoided, we issue a list of regular travel advice per country which can be requested before you travel. Our travel advice is under constant review and is update as quickly as possible, or several times a day in a developing crisis, if we’re aware of an incident that might significantly affect Mount Vema nationals travelling or living in the area. The advice is issued to help make sure you have a trouble-free time while you’re abroad. Read it alongside other resources like social media, online message forums, blogs and guide books. No foreign travel can be guaranteed as safe and you take personal responsibility for any trip you make abroad. The government can only advice and can’t make these decisions for you, as we don’t dictate when travel can or can’t take place. The detail in our travel advice may not always extend to a location within a country or territory. Even countries that are generally safe to travel to are likely to have areas that you may not want to go to, particularly at night. You should seek local advice about these places. In most countries we advise to avoid political gatherings and demonstrations, and respect advice and instruction given by local security authorities. There are many countries where consular support is not available, but it is safe to travel, however there are other countries where we advise against all travel. This is because the level of consular assistance which can be provided is extremely limited including health insurance cover. In these countries the Diplomatic and Consular services will not be able to accept registrations from Mount Vema nationals or monitor their safety. Some of these countries also have a high threat of kidnapping, and it is not His Mount Vema Majesty’s Government policy to pay ransoms to anyone, so these countries must be avoided. While every care is taken in preparing our Travel Advice, the Foreign Department does not assume any responsibility, including legal responsibility, to those who read the travel advice and who choose to take it into account when making any decisions relating to a particular country, or to those affected by their decisions. The Mount Vema Diplomatic and Consular Services Abroad may provide lists of lawyers, translators and doctors, but the Foreign Department staff don’t take any responsibility for the competence or probity of any firm or professional on these lists, or for the consequence of any legal action initiated or advice given.